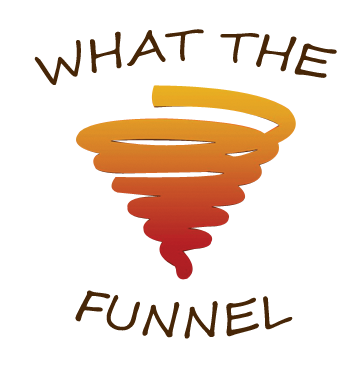 What-The-Funnel has the freshest food in town! 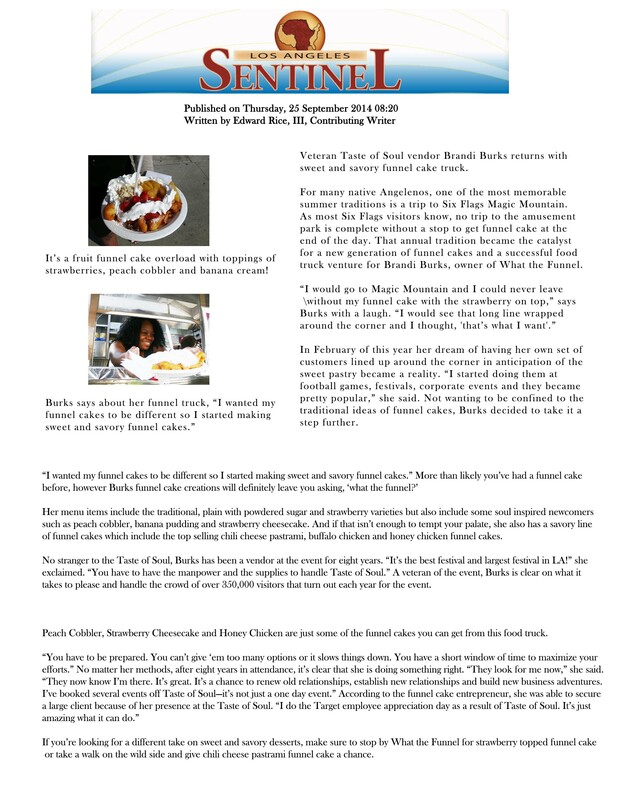 Chef Brandi Burks followed 2 paths that led her to creating the “What The Funneh was her sweet funnel cakes and juice business, where she worked fairs, festivals, and events throughout California. After years of her customers insisting that she open a restaurant, she finally decided to take her passion to the next level and open a food truck. After thinking about what to serve, she decided to stay true to her heart, and combine her two culinary histories into one groundbreaking, delicious concept. She has created a whole new world of funnel cakes, offering creative new sweet desserts and warm, savory comfort food. This unique combination of crunchy funnel cakes topped with delicious, homemade comfort food will have your taste buds begging for more. Chef Brandi also offers her famous homemade juices to wash down all the goodness. So sit back and enjoy a warm, delicious meal and a refreshing homemade juice, followed by a sweet, mouth-watering dessert. Chef Brandi prepares every dish with love and joy, so taste the passion she brings to every meal in every bite!